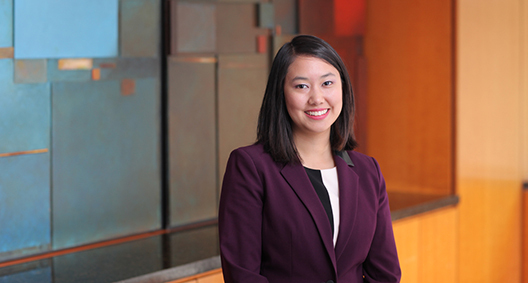 Panida Pollawit focuses her practice on international law, white collar crime and commercial litigation. She has appeared before courts in both Washington, D.C., and Alaska as a trial attorney. Panida also has appellate experience from her clerkship at the Alaska Court of Appeals. A client-centered advocate, she takes into account both legal and business ramifications when offering legal advice. Represented defendants charged with misdemeanors as a student attorney at the Georgetown Criminal Defense & Prisoner Advocacy Clinic: argued for their release from custody at arraignment; challenged discovery violations; negotiated with prosecutors for alternatives to prison time; conducted investigations and interviewed witnesses; and prepared for trial. Represented clients potentially facing years of prison time in their parole revocation hearings. Successfully petitioned for presidential clemency of two prisoners, who were sentenced under severe anti-drug laws, through collaboration with other attorneys at the Clinic. Represented criminal indigent defendants charged with misdemeanors from their bail hearing to trial as an intern for the Alaska Public Defender Agency. Delivered an opening statement as a second-chair for a DUI case. Cross-examined an Alaska State Trooper on a Fourth Amendment violation, eliciting facts that were used to sustain a motion to suppress illegally obtained evidence. Conducted legal research and wrote memoranda on criminal matters for the Maryland Office of the Public Defender. Prepared the probate docket as an intern for Judge Gerald I. Fisher of the D.C. Superior Court. Conducted legal research related to construction law and procurements of government contracts as an intern for the Massachusetts Division of Capital Asset Management & Maintenance.